In search of a Brookline MA apartment that gives you the best in suburban living with an urban feel? 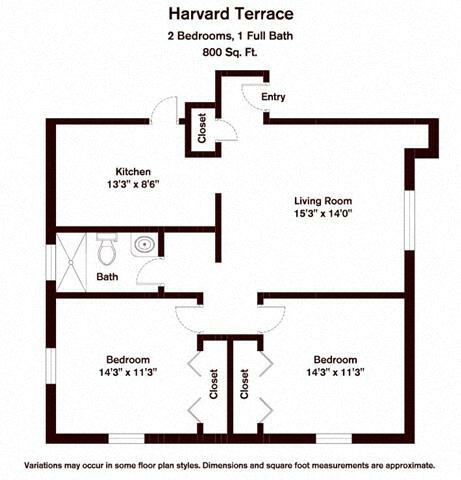 Find yourself at Harvard Terrace apartments. These newly renovated apartments for rent in Brookline have been graciously retouched in keeping with the timeless appeal of the brick courtyard apartment building. Whether it’s a studio, one-, two, or three-bedroom apartment for rent in Brookline you need, we have them all. Each Harvard Terrace apartment rental comes with free heat and hot water, 24-hour maintenance response guarantee, onsite parking, fully equipped eat-in kitchens, energy saving appliances, hardwood floors and eco-friendly carpet, water saving faucets, showers, and toilets, and the ease of being able to pay your rent online. Known for their walkability -- these Brookline MA apartments received a 98 out of a possible 100 WalkScore independent rating -- Harvard Terrace apartment is on a lovely tree-lined street within walking distance of shops and restaurants. When you do need a car, there are Zipcars close by. These apartment rentals are also near Coolidge Corner, Longwood Medical Area, the Green C and D lines, and other public transit. It just doesn’t get any better than Chestnut Hill Realty’s Harvard Terrace Brookline, MA apartments when you want convenient living and incomparable service. When you are looking for apartments to rent in Brookline, you will fall in love with this charming and eclectic neighborhood that puts you within a few steps of several lush natural parks, as well as the convenience of shopping and culture at Brookline Village and Coolidge Corner. Your new Brookline, MA apartment at Harvard Terrace offers the best of both worlds – you get all the peace of suburbia without sacrificing the convenience of city living. Your newly renovated apartments are just a hop, skip, and jump from a wide variety of restaurants, upscale boutiques, and nearby arts and entertainment events. Best of all, you have access to five onsite Zipcars. Because of the easy access to dining and other attractions, Harvard Terrace received a rating of 98 out of 100 from WalkScore, an independent national survey that rates the walkability in regards to a property’s convenience and access to local amenities. 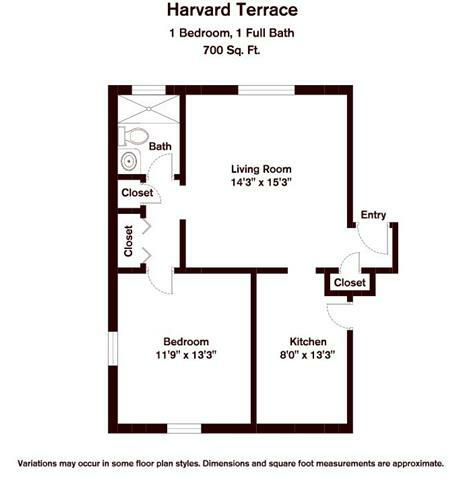 Each Harvard Terrace apartment rental comes with free heat and hot water, a 24-hour maintenance response guarantee, onsite parking, fully equipped eat-in kitchens, energy saving appliances, environmentally friendly carpet, water saving faucets, showers, and toilets, and the ease of being able to pay your rent online. You will also enjoy strolling the tree-lined streets that border your new Brookline, MA, apartment. We take the hassle out of finding an apartment for rent in Brookline, anticipating your every need with our exceptional service and professional management. You can choose from studio, one, and two bedroom Brookline, MA apartment homes. 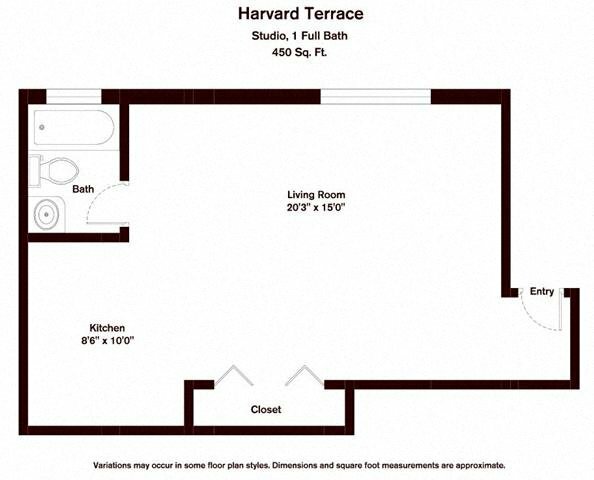 Any apartment for rent in Brookline should offer you ease of transportation, and at Harvard Terrace you will realize you are perfectly situated to get anywhere you need to go quickly. In your new Brookline, MA, apartments, you will be close to both the Green C and D lines as well as a wide variety of additional public transportation options. CHR is one of the most helpful, warm and friendly companies around. Not only do they excel at customer service, but in my experience, they go above and beyond. I recently had my car towed from a city street and didn't know where to turn as I recently moved to Boston. I called the office and the staff helped me locate my car, talked with the towing company, and printed me out directions to get there and followed up the next day to make sure I was ok. No other company would do that. That is what separates CHR from all the other companies around!